Today's show is dedicated to the Regal label, that was founded in 1949 by the Braun brothers, the previous owners of DeLuxe records. The co-operation with Syd Nathan of King records in Cincinnati ended up in a bitter legal battle, with one of the outcomes that DeLuxe was acquired by King and moved to Ohio. The Braun brothers then launched their new Regal label and many of the DeLuxe artists went on with the Brauns. 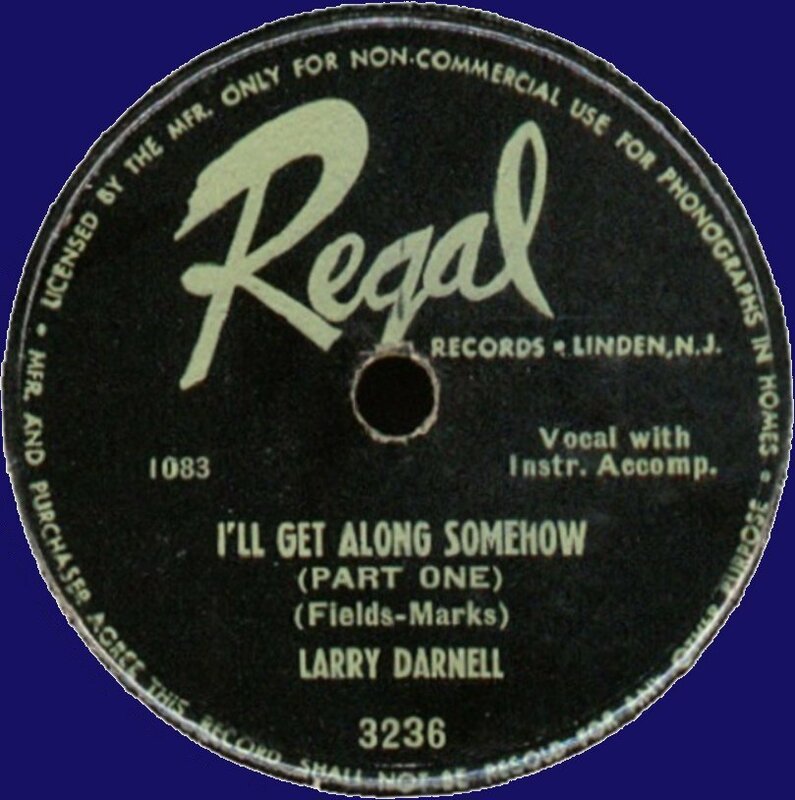 Regal signed an interesting mix of young artists that played the Rhythm & Blues that was the direct forerunner of Rock 'n Roll, and some real veterans of the scene, whose style soon would be felt as outdated and oldfashioned. Well, it was the new generation of artists, that brought in the money - Larry Darnell, Paul Gayten and Annie Laurie were the label's hottest assets.